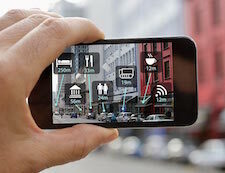 The Embedded Vision Alliance is performing research to better understand what types of technologies are needed by product developers who are incorporating computer vision in new systems and applications. To help guide suppliers in creating the technologies that will be most useful to you, please take a few minutes to fill out this brief survey. As our way of saying thanks for completing it, you’ll receive $50 off an Embedded Vision Summit 2019 2-Day Pass. Plus, you'll be entered into a drawing for one of several cool prizes. The deadline for entries is November 7, 2018. Please fill out the survey here. The Embedded Vision Summit is the preeminent conference on practical computer vision, covering applications from the edge to the cloud. It attracts a global audience of over one thousand product creators, entrepreneurs and business decision-makers who are creating and using computer vision technology. The Embedded Vision Summit has experienced exciting growth over the last few years, with 97% of 2018 Summit attendees reporting that they’d recommend the event to a colleague. The next Summit will take place May 20-23, 2019 in Santa Clara, California. The deadline to submit presentation proposals is December 1, 2018. For detailed proposal requirements and to submit a proposal, please visit https://www.embedded-vision.com/summit/call-proposals. For questions or more information, please email present@embedded-vision.com.